← Take care of your people! 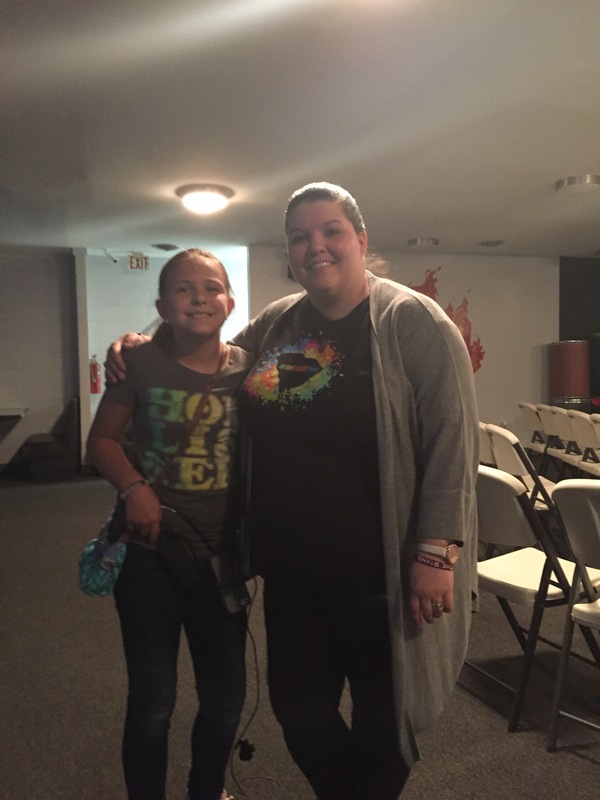 This past Wednesday was our Allie’s first official night in youth. We knew this was coming. We have been preparing ourselves for this all summer. It really shouldn’t be that big of a change. I mean, she was at all of our events and functions anyway. It is a huge deal though. She is not just our kid that’s always around or one of the “little kids”. She’s official. I made her fill out a guest card, gave her a welcome packet and everything! Her first night was a little bittersweet. Her daddy was not there, since he is at youth camp this week. That part made me slightly sad. On the flip side of that was the fact that I was handling service in his absence. So, I had the privilege of speaking at our daughters very first youth service. It was my honor to do so. She is growing up so fast and I am so proud of her. Literally, I have tears in my eyes right now as I’m typing this. She is such an amazing kid with a truly loving heart. I will be forever grateful that I was chosen to be her mommy. She makes me proud and inspires me daily. Welcome to youth group, Allie! We look forward to continuing to watch you grow!! You are a blessing to us always!